What is an employee credit card? Employee cards are credit or debit cards that businesses give to certain workers. The workers are able to use the employee cards to make business-related purchases or payments without having to complete requisition forms and to wait for approvals. Since they are credit cards, employee cards are attached to the business’s revolving line of credit. They also require that businesses and business owners undergo a credit approval process before the businesses will receive them. Many business credit cards have high annual rates of interest. According to Creditcards.com, the average interest rate for business credit cards, including employee cards, was 14.70 percent as of Oct. 9, 2018. Businesses of all sizes rely on employee cards to help them to make the payments and purchases that are needed to keep their operations running smoothly. According to the Federal Reserve’s 2017 Small Business Credit Survey, business credit cards were the second most popular type of financing that small businesses sought at 27 percent. Smaller companies and those that are newer may have more difficulty gaining approvals for employee cards. According to the SBCS, 70 percent of small businesses with annual revenues of less than $100,000 and 61 percent of startup companies that had been in business from zero to five years reported that they had either been denied for credit or had received less than the amounts that they had requested. How does an employee credit card work? Businesses that want to give credit cards to their employees will first need to apply for them. If they are approved, they can order the number of employee cards that they need and distribute them. All of the employee cards will be linked to the business’s attached line of credit. When employees make payments or purchases with the employee credit cards, as opposed to employee debit cards, the amounts will be charged to the credit line. Companies that do not pay off their account balances in full by the end of each month will be charged interest. Many companies that issue employee cards also charge high annual fees. However, using credit cards may allow your company to earn perks such as miles and other rewards. How can an employee credit card help me to grow my business? Giving employee cards to your employee can aid in the growth of your business. When you use employee cards, you can end costly processes such as reimbursements and purchase approvals. Employee cards give your employees the flexibility to spend money for your company when supplies are needed rather than interrupting your business operations to wait for approvals. Using employee cards can also help to build your company’s reputation with your suppliers and vendors while also building your business’s credit. By saving money and building your credit, you can devote more of your revenue to grow your business. How do I research a employee credit cards? To identify the best employee cards, it is important for you to research the different offers that are available. 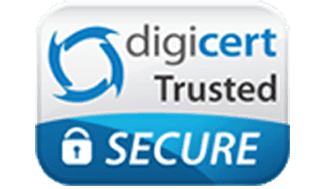 You can start by reading credit card articles and reading reviews on a variety of trusted sites. Look at the cards that have received the highest ratings from other business customers and compare the features that they offer. You should look for credit cards that have the lowest interest rates and fees. Some cards have features that allow you to generate expense reports electronically so that your accounting department doesn’t have to try to hunt down employees who are late in submitting them. What features are included with the best employee expense card? Another employee card option is an employee debit card. Instead of being linked to a revolving credit line, employee expense cards are linked to your account and use your company’s funds when purchases are made. This makes them good choices for small or new businesses as well as for business owners who are debt-averse. The best employee expense cards have smart technologies that give you extensive controls over how they are used. For example, the Bento for Business Visa debit cards allow business owners to limit when their employees can use their cards, how much they can spend by the day or week, and where the cards can be used to make purchases or payments. Using employee expense cards can also benefit your business and your employees in other ways. When you distribute employee cards to your employees, you can end reimbursements. Reimbursement processes may anger employees who are forced to wait to be repaid their own money. 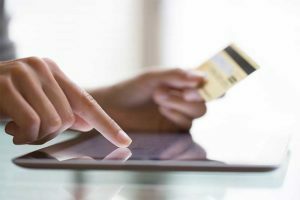 If an employee has used a personal credit card to buy something for your business, and your process takes too long, the employee may be charged interest on the purchase that he or she made for your company. Ending reimbursements also can help your company avoid the potential for inflated expense reports or fraudulent reimbursement requests. Reimbursements are major sources for waste, abuse and fraud. When you end them, you can avoid the associated losses altogether. Finally, ending reimbursements by using employee cards can help you to save time and money that would otherwise be spent on processing the requests. Who benefits the most from an employee debit card? Smaller companies may derive the greatest benefit from switching their purchase and payment processes to employee expense cards. Many small businesses have weaker internal controls because of a lack of resources. When you limit your employees’ access to your accounts and give them cards to use, you can control your expenses and prevent fraud. Giving employee cards to your employees can also help to make certain that your payments will be made when they are due and your supplies can be ordered when they are needed. This can help to ensure that your business continues to function smoothly while minimizing your losses. Why is an employee debit card important? Debit cards for your employees to use can help to improve your expense management. When you give the cards to your employees, you can reduce the transaction costs that would otherwise be incurred to make basic purchases. Employee cards can also make the spending at your company more transparent. All of the transaction information will be available to you in the monthly statements. Some cards let you see the transaction history in real time from a secure online dashboard, allowing you to spot problems quickly and address them. How does an employee debit card relate to a business’s needs? Most people have heard the saying that “it takes money to make money.” The adage is true for businesses as well as for people. In order for your business to be successful, it is important that your employees can make purchases in a timely fashion. Employee cards make it easy for your employees to spend money on behalf of the business. Employee cards for businesses can give your staff the flexibility to make job-related purchases without waiting for their requisitions to be approved and checks to be issued. This can let your business avoid slowdowns or stoppages that might otherwise happen during the waiting process. Good employee cards can also help you to control your expenses and can let you know exactly where your company is at whenever you want. Debit cards for employees are different from business credit cards because they will not increase your debt. When your employees use their cards, the money will be subtracted from your company’s funds rather than from your credit line. Debit card purchases also do not incur interest. However, they are similar to credit cards in that they can be used at the same places where credit cards are accepted and are cashless forms of payment. Business fraud is very common and can occur in a multitude of different industries. In a recent case that happened in the greater Chicago area, a 48-year-old Tinley Park woman named Michelle Patras stole $59,000 from her employer, Orland Township. Patras stole money from the Township’s accounts, including the food pantry fund and the general assistance fund. Both of those funds are meant to help needy residents to pay utility bills and to have food to eat. Patras altered the records and issued duplicate checks in an effort to cover her tracks. Patras used the money that she embezzled to pay her personal credit card and other bills. She worked as an administrative assistant for the Township from Jan. 2016 until her thefts were discovered in March 2018. 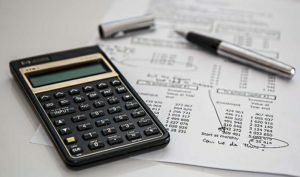 A Canadian lawyer who is representing a company called Service Mold and Aerospace is warning businesses to avoid relying on a single bookkeeper to manage their expenses. The company lost almost $1 million after the former bookkeeper, Nada Khalaf, forged checks and embezzled funds to feed her gambling addiction. According to reports, Khalaf lost nearly $1 million by gambling at Caesars Windsor. She entered guilty pleas to two fraud counts earlier in 2018 and began a 24-month prison sentence in September. The company is suing in an effort to recover the money that it lost. Khalaf was a trusted employee who had worked at the small business since 2008. In general using track-able business debit cards where possible can help lower the risk of business fraud. One big problem with business credit cards is the inability that businesses have to shut them down remotely when they discover that their employees are abusing the cards or when they learn that the cards have been lost. Companies have to call the card issuers and ask for the issuers to deactivate the cards instead of being able to do it on their own, unlike the ease an employee card brings. The Bento for Business Visa debit cards solve this problem for its customers. Business owners are able to log into their personal dashboards at any time of the day or night on their smartphones or laptops. They can review how each card is being used. If there is a problem with a card or if a card has been lost, deactivating the card is as simple as tapping a button on your smartphone. Another issue that businesses have with credit cards is that they can’t prevent employees from spending too much money or limit the stores at which they can be used. For example, if an employee is given a credit card that is a Mastercard, he or she will be able to use it anywhere and spend up to the company’s card limit. The Bento for Business Visa debit card solves this problem by giving businesses the ability to set spending limits by the day or week. You can also choose where the Bento cards might be used. For example, you can limit a card that you give to a roofing contractor to only be used to make purchases from a specific home improvement store of your choosing. If the contractor tries to use the card elsewhere, the card will be declined. Expense reimbursements can be a major problem for businesses. In businesses that use them, employees spend their own money to buy items for the company. The employees then submit expense reports and receipts so that they can be reimbursed. Reimbursement processes may mean that employees are forced to wait to get their money back. Some employees pad their expense reports or submit fraudulent expense reports in which they claim personal expenditures were made for the business. Using cards can allow you to end reimbursements so that you can avoid these pitfalls. Bento for Business offers several different packages so that businesses are able to order the number of cards that they need. Businesses can order two cards for free or up to 10 for a monthly cost of $29. The cards offer advantages to small businesses for expense controls. You can give an employee who drives as a part of his job a card with a daily limit of $50 that he can use at a gas station to purchase fuel. Another employee can be given a card with a $500 monthly limit that she can use to pay the office’s utility bills. If either worker tries to use the card at other locations, the transactions will be declined. Bento for Business is a company that was created with the goal of giving small businesses smart solutions for expense management and fraud prevention. 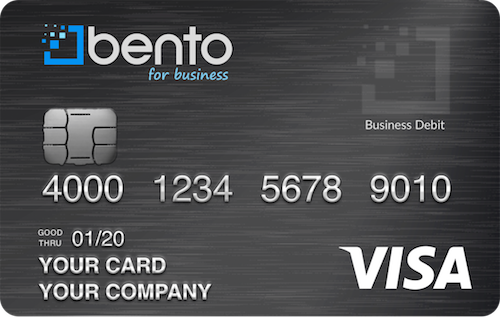 The Bento for Business Visa debit card offers robust expense control solutions and has earned terrific reviews by national publications such as Forbes and by users. You can try out the cards for 60 days for free to see how they might work for your company. If you have any questions, call us at 866.220.8455.